There are guys out there who know it all by heart. Roll a freshly-machined block into their garage and they’ll order up the right engine internals with part numbers taken straight from memory. Want to bump the compression ratio? They know the correct combination of rods, pistons, and crankshaft to make it happen off the top of their heads. Are you looking to throw a little more displacement at the build? They’ll pull the appropriate part numbers for the slugs to match your overbore and a stroker crank out of thin air. We’ll spend hours on the computer trying to figure out what mix of different parts will accomplish what we’re trying to do, and then second-guess that decision until it all comes together and (hopefully) works right. Your buddy says “use this piston,” the magazine article you read, tore out to save, then promptly lost in the stack of notes on your workbench recommended another brand’s rod, and all the bathrobe-clad keyboard wizards on your favorite car forum can’t agree on which crankshaft you should use. In addition to the pre-configured LS engine kits, K1 can put together a matched rotating assembly for just about any popular engine. Shown is a K1 Technologies Subaru crankshaft, pistons, and connecting rods. It’s nerve-wracking, and another bead of sweat forms on your brow with each credit card digit you enter while you punch in the order for your mixed bag of parts. But it doesn’t have to be that way. There’s an alternative that removes all the stress and guesswork for sourcing internal parts - a matched rotating assembly kit from K1 Technology. 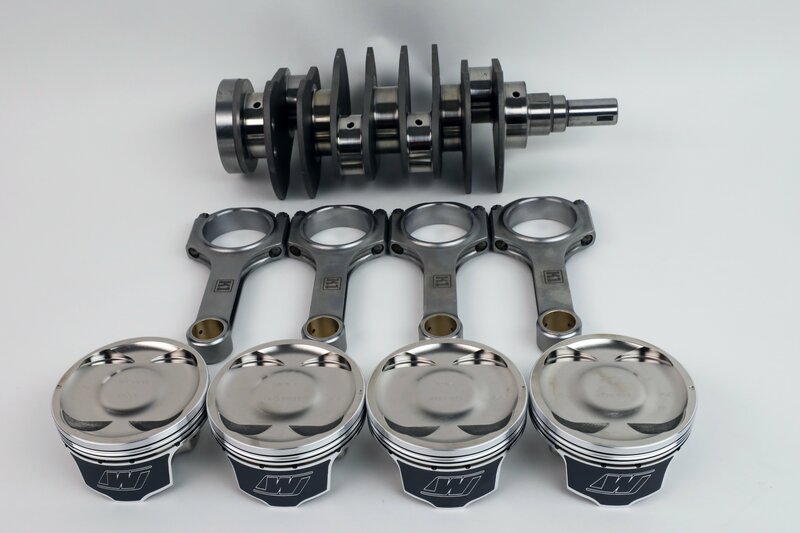 K1 built their reputation around crankshafts and rods that deliver quality at an affordable price, offering value that your average imported parts can’t match. 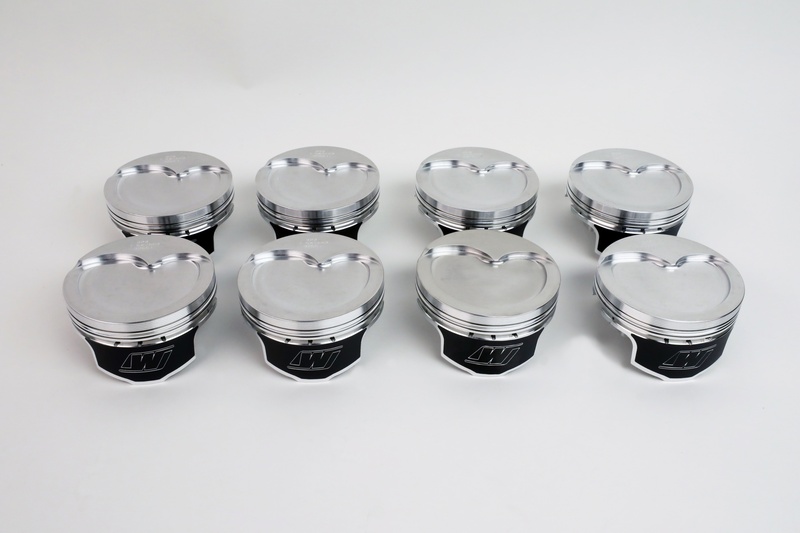 For K1 Technologies, it made sense to combine efforts with Wiseco pistons to provide complete rotating assembly kits that pair professionally-matched components into a single part number to make ordering simple. See All of K1 Technologies' Rotating Assemblies HERE. K1's shelf stock rotating assembly kits feature K1 cranks and rods, paired with premium Wiseco pistons. It’s no surprise that the LS engine family would be the first target on K1’s radar for complete kits; factory blocks are so ubiquitous and cheap that they’ve become the hands-down favorite for racers and hot rodders looking for a solid foundation for a high-horsepower build. Though the stock LS components can definitely take a beating, upgrading the internals is a sure-fire way to create a durable, powerful race or high performance street engine. K1 cranks are forged from 4340 steel and are core hardened to optimize strength. The counterweights are placed for optimal load reduction and ease of balancing. 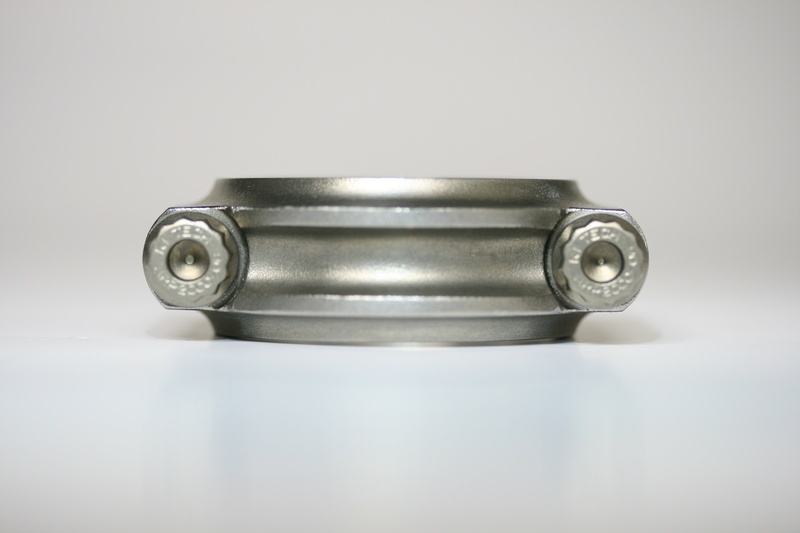 A nitrided finish improves crank strength and bearing life, and the large-radius fillets remove potential areas of stress concentration and potential failure. K1 employs a straight hole oiling system for superior bearing lubrication, and tolerances are held to plus or minus one ten thousandth of an inch. 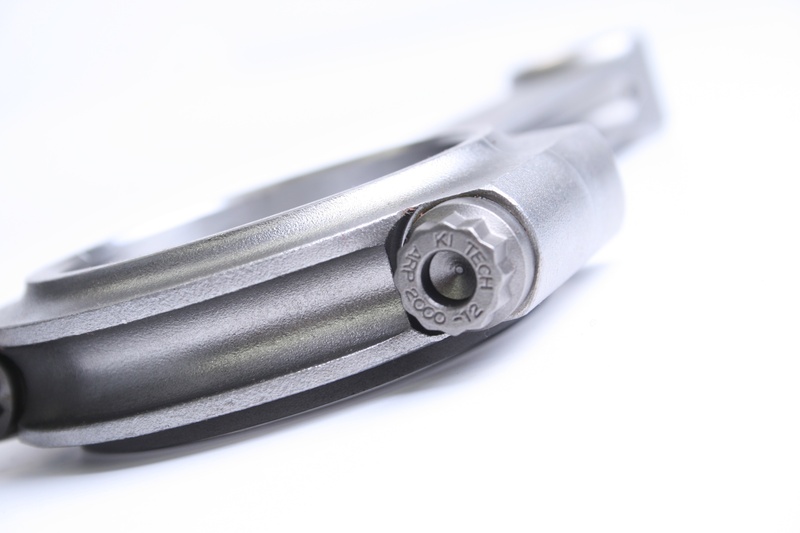 You can’t overemphasize the importance of quality fasteners, and K1 provides custom ARP2000 bolts with their connecting rods. For proper rod bolt torque, K1 recommends the “torque and angle” method, or ideally the “stretch” method using a bolt stretch gauge. Many racers will debate the relative benefits of an H-beam versus an I-beam design in terms of ultimate strength, but for applications where shaving grams isn’t absolutely critical, the H-beam delivers additional rigidity and better load distribution than a comparable I-beam connecting rod, and makes perfect sense for K1’s rotating assembly kits. Dual reinforced ribs add strength on the big end, while radiused sides maximize clearance. A shot peened finish is the finishing touch, placing the outer surface in compression and removing any potential locations for stress riser formation. K1 H-beam rods feature twin reinforcing ribs on the big end, and are clearanced for stroker applications. When it comes to pistons, Wiseco offers a wide selection, no matter what bore or compression ratio you’re shooting for. Per DiBlasi, “Our main rotating assemblies come packaged with Wiseco pistons. We offer various popular compression ratios based off the combinations we know work best.” Depending on combustion chamber volume, the shelf stock LS rotating assemblies range from 9.3:1 to 13.0:1, suitable for boosted or naturally aspirated builds. 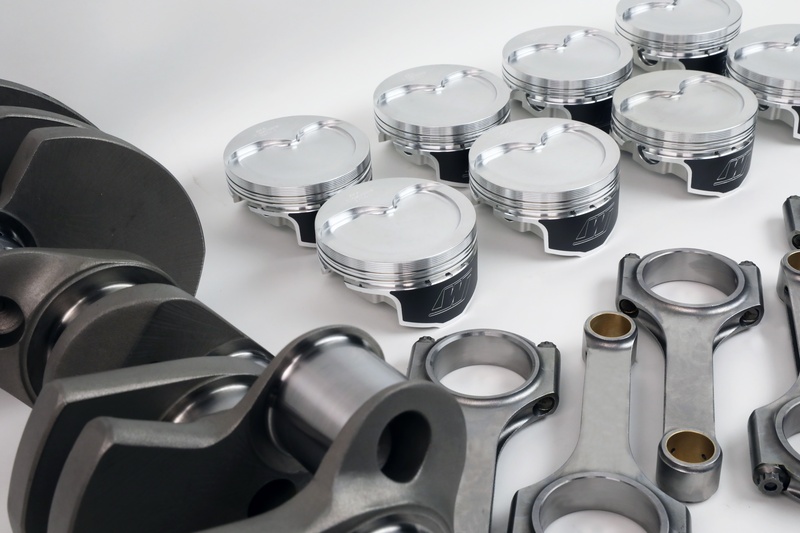 A wide range of piston designs are available, from dome to dish, in order to suit naturally aspirated or boosted applications. Wiseco’s Professional Series forged pistons also utilize their proprietary ArmorGlide skirt coating that reduces friction, increases horsepower, and improves wear resistance. 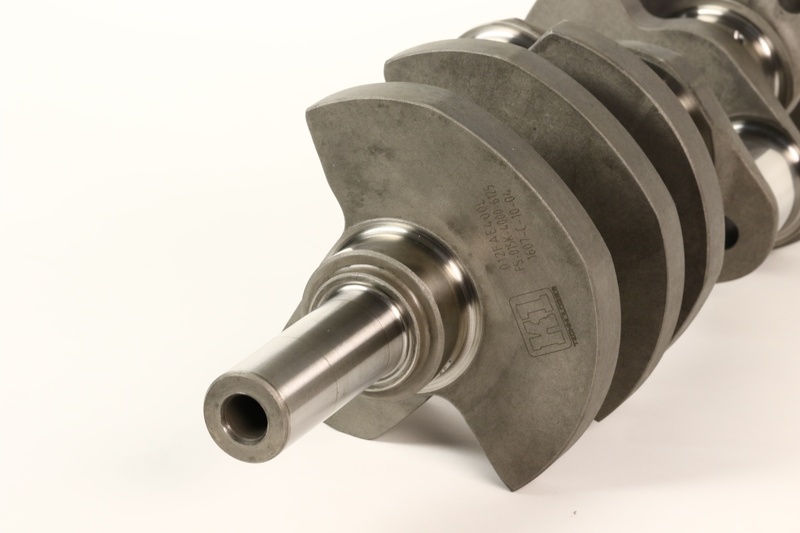 “If you are looking for a compression ratio that we do not offer [in a stocking part number], we can gladly build a rotating assembly with the same components and another piston combination that we offer,” DiBlasi adds. 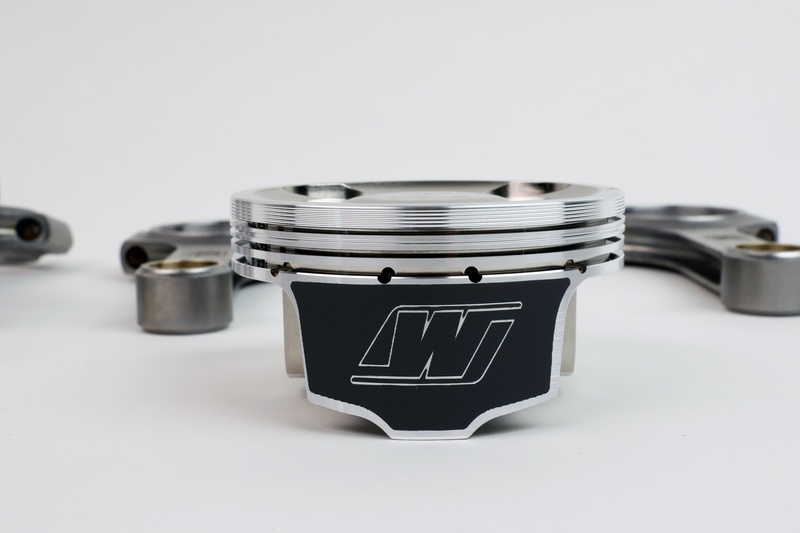 Wiseco's forged pistons combine light weight and strength, and feature an ArmorGlide skirt coating. When you order up a rotating assembly from K1, you’re getting all the other matched components you need to round out the engine internals as well. “They come with pistons, pins, locks, and rings,” DiBlasi explains. The goal is to provide everything you need under a single part number, so that you can order with confidence, knowing that there won’t be any bits and pieces that you need to figure out before you start putting everything together. “All of our kits come with rod and main bearings,” he adds. So what about other engines? Creating rotating assembly kits for the LS family is a no-brainer, considering how popular that platform has become, but K1 makes components for everything from four-cylinder sport compacts to Vipers. Never fear - while their pre-packaged rotating kits only cover LS applications, more pre-configured combinations are on the way, and custom kits are always an option as well. 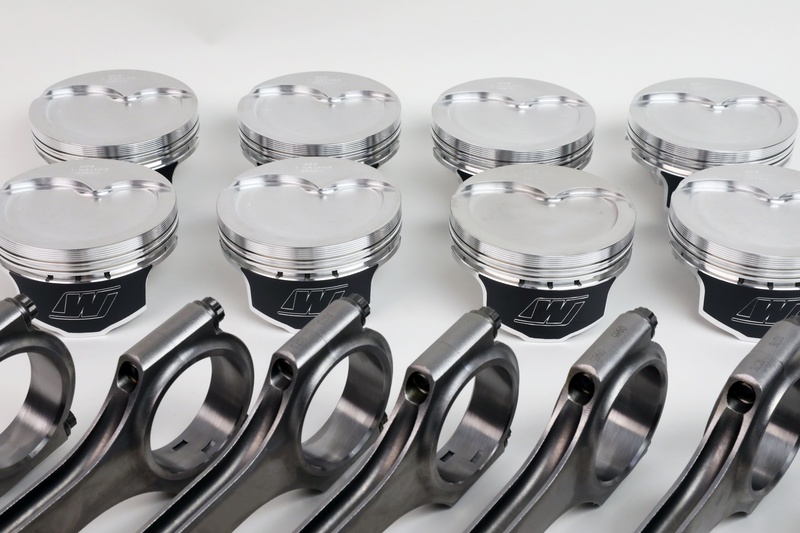 Whether you're looking for a preconfigured LS rotating assembly kit, or help with putting together a custom combination of crank, rods, and pistons, K1 is ready to assist.